I've written about my feelings on adoption before. It's a beautiful thing. Well, those sentiments extend out into the animal world as well. I'm not gonna lie...I did NOT want a dog. Alex and I had many many...many...discussions about it. He really wanted one, I was adamantly against it. Some of our friends even jumped in on the debate. But I just wasn't having it. Over time, however, my heart softened. 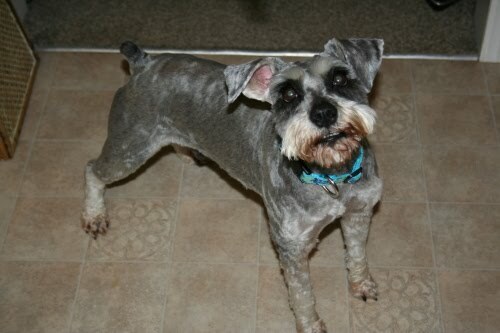 I began doing some research and finally came to the conclusion that if we were to get a dog...he would have to be a miniature schnauzer and he could not be a puppy (house training? no thanks). There are so many abandoned dogs out there who need some lovin'. So why not welcome one of them into our home? So we searched on petfinder.com and found the dog of our dreams. He is a four year-old salt and pepper mini schnauzer...and according to his "foster mom" he is as friendly as can be. 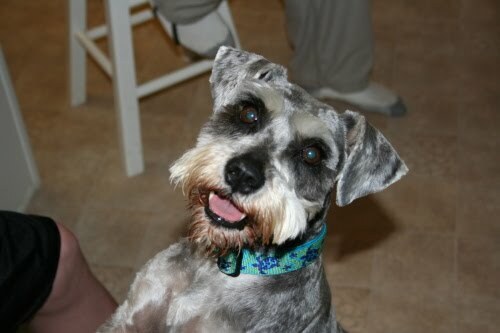 We are so excited to adopt our little schnauzer...especially because it's been about a month since we first filled out the application through the Schnauzer Rescue. It's a long process since they want to make sure their dogs will be going to a good home.